The Victorian Government has released a discussion paper as part of the stage one consultation period, for its review of the State Environment Protection Policy (SEPP). 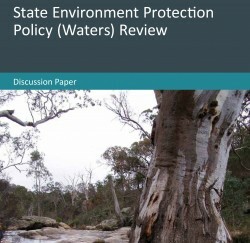 The discussion paper aims to facilitate discussion and increase understanding of the role of SEPPs in setting a framework for the protection of water environments. A supplementary information sheet, Improving water quality in Victoria – the role of the SEPP (Waters) review, provides some context and background information on the role of SEPPs in the protection of water quality in Victoria. The discussion paper seeks feedback on how water environments should be managed and protected, both now and in the future. Feedback received will inform the development of a draft state environment protection policy for water and draft policy impact assessment. Submissions close 13 July 2015.